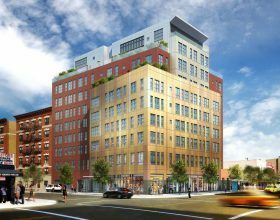 Applications are currently being accepted for 12 affordable apartments at 27 Albany Avenue in the Brooklyn neighborhood of Bedford-Stuyvesant. 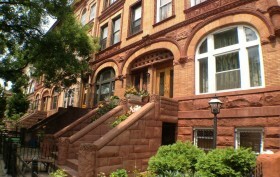 Located on the bustling corner of Fulton Street, the building rises 10 stories with 50 residences. Amenities include on-site parking, a virtual doorman, package room, fitness center, communal terraces and a lounge. New Yorkers earning 80 percent of the area median income can apply for five one-bedrooms for $1,230 per month and seven two-bedrooms for $1,486 per month.